We make an incredible mixture of nuts, fruits, and chocolate pieces and blend them into our own terrific mixture. 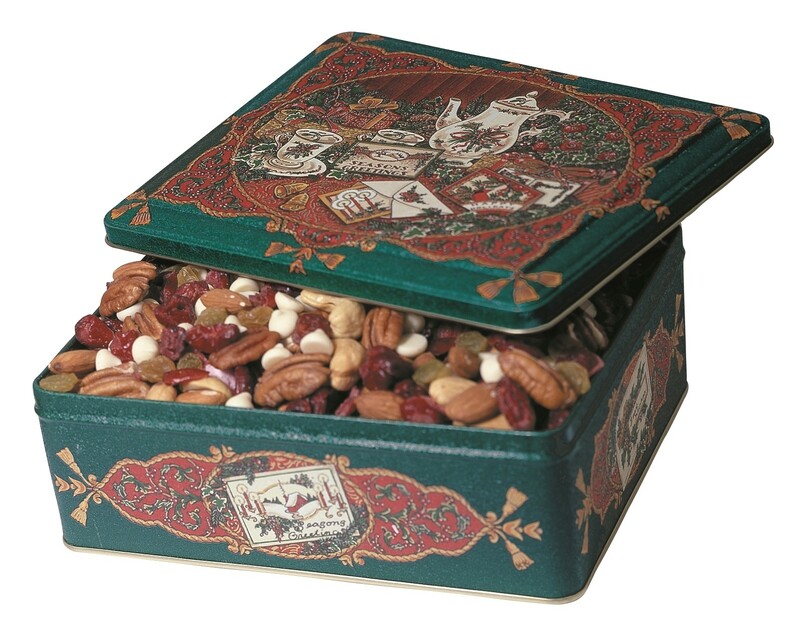 We package the 2 pounds 8 ounces of this Cranberry Truffle Mixture in a very pretty hinged, lithographed tin. 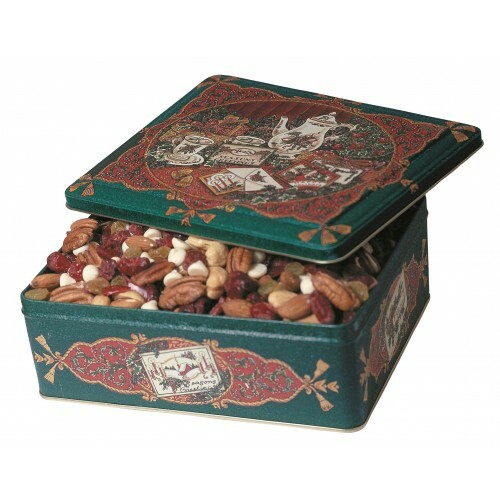 We feature this Cranberry Truffle Mixture which includes giant pecans, roasted cashews, white chocolate bits, golden tart raisins and crunchy toasted almonds.